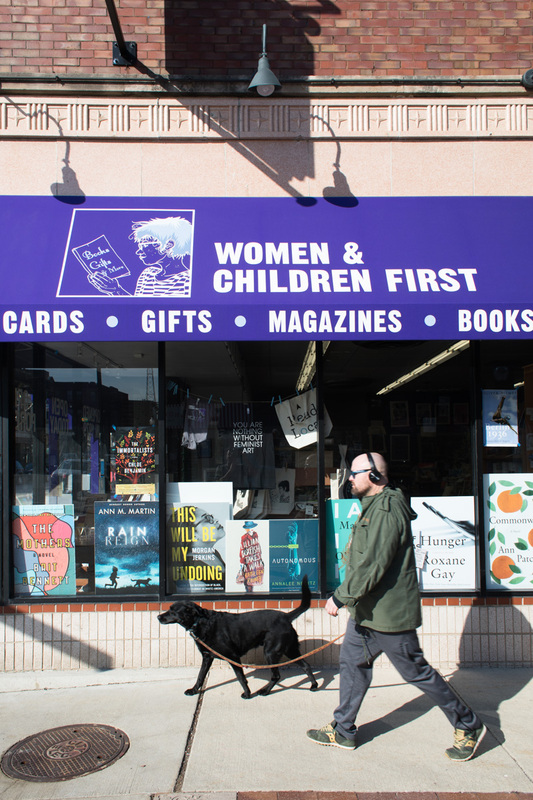 Meet the dynamic new owners behind Women & Children First, a Chicago-area indie powerhouse store and a place of vibrant and progressive literary activism. 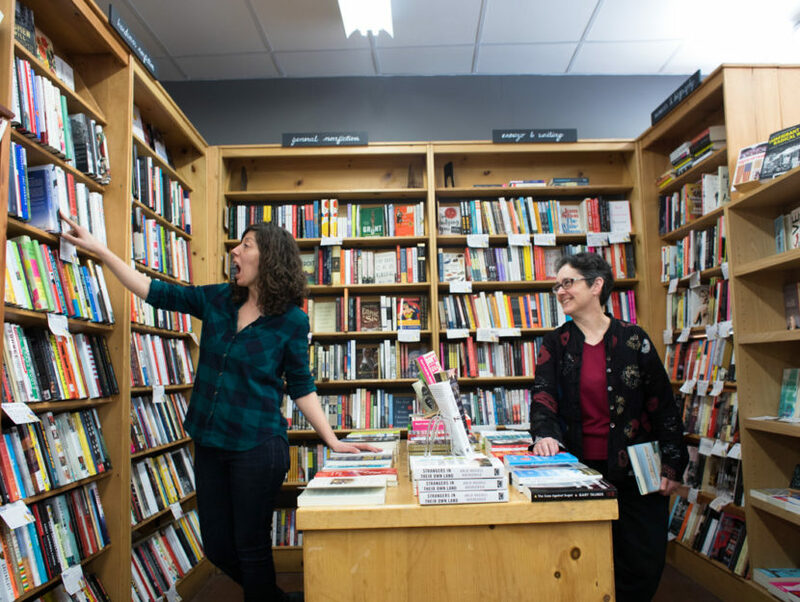 Sarah Hollenbeck and Lynn Mooney are the new owners of Women & Children First, a landmark feminist bookstore in Chicago. 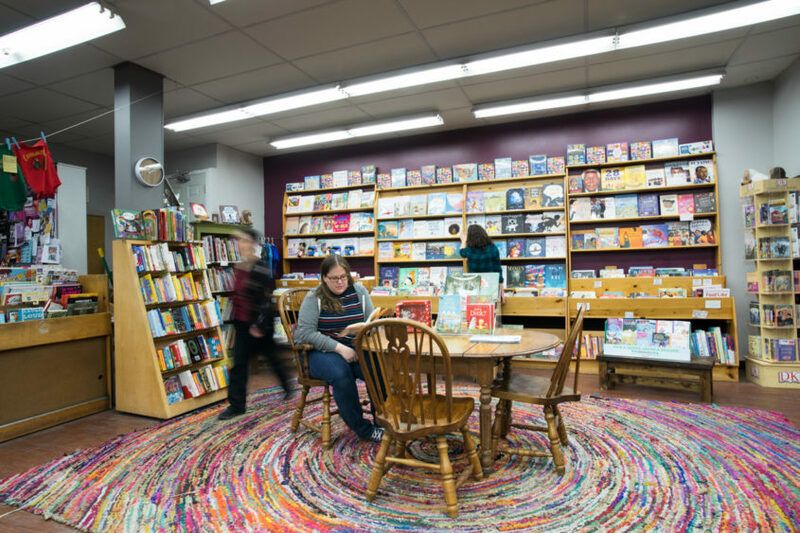 Sarah spoke with Read It Forward about the bookstore as a space of identity creation, the vital need for diversity in children’s literature, and most inspiring bake sale known to womankind. Women & Children First is one of the largest feminist bookstores in the country. Can you tell us about who you are and what you do? Sarah: I’m one of the new owners. Women & Children First opened in 1979. Ann Christophersen and Linda Bubon started it, they were graduate students who were active in the women’s movement, and their contribution was to open a store that would focus almost entirely on the voices of women. Back then, there were a lot more feminist bookstores and presses coming up. So, it was a very different time than it is today, when we only have twelve self-identified feminist bookstores left. The idea of a feminist bookstore evolved over the years. The story is, and I’m not sure if this is 100% true, that they had one shelf titled “Books by Men We Like.” Now, we have books by authors of all genders, and I think that has a lot to do with how our understanding of the culture of feminism’s evolved. We all understand that men, women, and non-binary individuals can all be feminist, and it’s not about gender. We still have a highly curated selection, and foreground books by women and other marginalized voices. 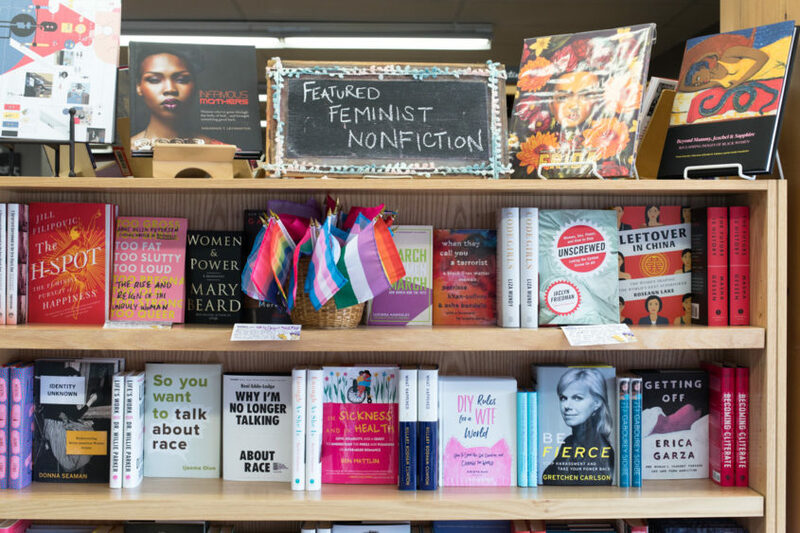 You’ll see that when you walk into the store, how our front tables and displays are primarily devoted to women authors, transgender authors, women of color, and politically progressive books. The mission of the store’s very visible, but how we design and support that mission has changed. To that end, since feminism has evolved to include anyone of any gender, why do you think it’s still important to have self-identified feminist bookstores? Sarah: America’s having this larger conversation right now about what the patriarchy is, and what damage the patriarchy and misogyny have had on culture, and Women & Children First has been having that conversation for thirty-seven years now. We believe historically, when you look at any bestseller list, it would be dominated by white, male, cisgender authors, and we don’t believe that’s reflective of reality. 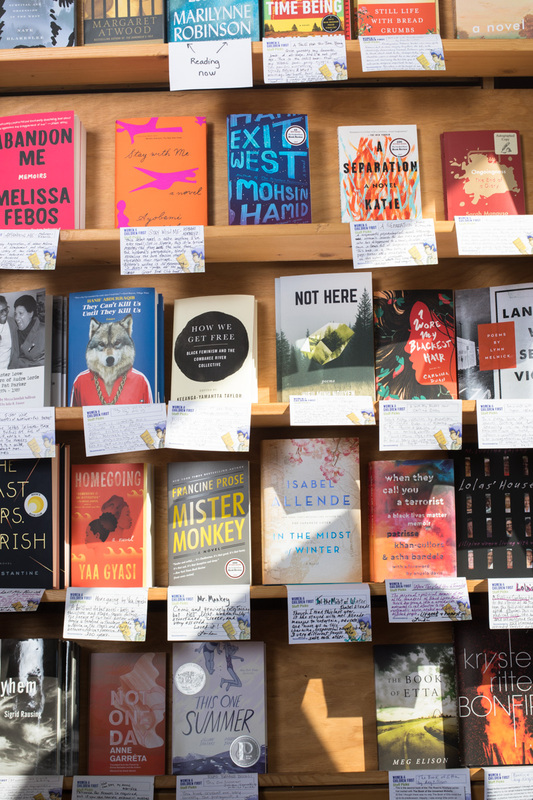 Feminist bookstores are important; they’re challenging that story of the white male cisgender voice as the standard. That’s why we’ve always provided a variety of diverse voices. It’s empowering for our customers to feel less invisible and less alone through the books they discover in our displays. We’re often cited as a space of visibility, awareness, refuge, solace and healing, so it’s more than a bookstore. It’s a space of identity building and creation. That’s a great way to put it. How do you find that being local to Chicago influences the way Women & Children First has evolved as an identity building space? Sarah: We’re definitely an integral part of the Chicago bookstore scene. My co-owner Lynn was part of a creating a coalition of Chicago independent stores called the Chicagoland Independent Bookstore Alliance. Chicago’s a city of neighborhoods, and each bookstore caters to that community. Women & Children First is in a historically lesbian and gay neighborhood, so that’s our niche, and you can see it in the books we showcase. We were one of the first bookstores to sell a variety of children’s books that featured two moms or two dads, or two parents of different races, and that was always important to us. 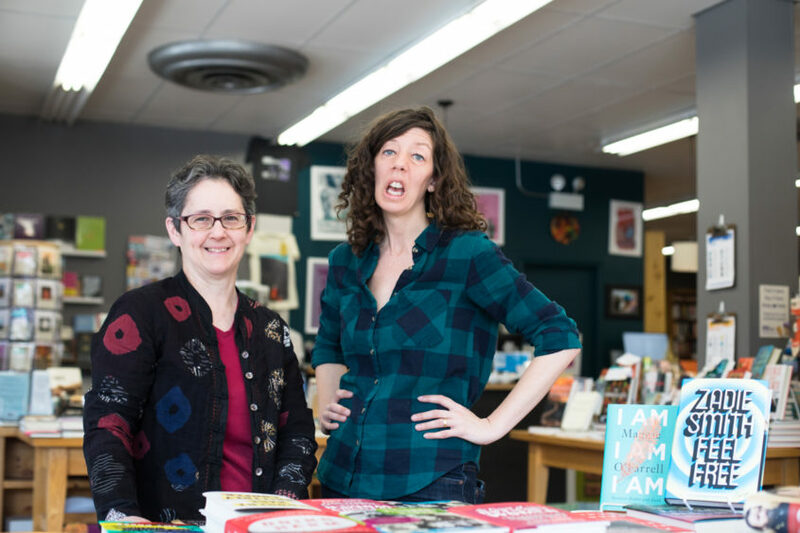 We’re a destination because we’re a feminist bookstore, so there are a ton of people who go on road trips to visit all twelve feminist bookstores in America. There are also a lot of lesbians who make us their holiday shopping destination, and it’s a beautiful tradition. Children are of course part of the name of the bookstore. Do you have an emphasis on children’s books? Sarah: It’s a big part of our store. When Ann and Linda started the store they declared that their children’s section would be huge, because women at that time often came attached with children. They wanted to make sure women could explore, and to introduce kids to books and make them readers at a young age. We have an incredible selection of books showcasing diverse families and different kinds of kids. Any time we find a great book with a child of color as the focal point, we make sure it’s faced out in the middle of the shelf. I hope that the publishing industry chooses to publish more books about kids of color and strong girls. It’s been exciting in the last year to see so many incredible books about girls taking charge of their own story. I think consumers and booksellers can shift the publishers to create the titles that we want, I just hope that the trend continues. How did you get into it? Why did you decide to become a bookseller, and then a bookstore owner? Sarah: As I said, I’m a new owner. I bought the store with my business partner Lynn Mooney in 2014. I’d just graduated from Northwestern with a degree in creative writing, and I was working at the bookstore when Ann and Linda decided to put it up for sale. It was a national search for a new owner, and there was a lot of anxiety in the community because Women & Children First is a staple within Chicago. I approached the manager at that time, Lynn, and asked if she would be interested in putting in a bid to buy the store. We went through the process that everyone else did, interviewing and putting together a business plan. I’d worked in bookstores my whole adult life as a part-time thing, and to be able to make it into my full-time life was a dream come true. We’ve had to learn a ton of skills in a short amount of time, but it’s incredibly rewarding. I’m in charge of the programming, we have at least twelve events per month, and they’re usually pretty large. That’s my joy, to make sure we give customers that interaction with an author they love, to meet that person, have their book signed, and tell that author what their book meant to them. It showcases the importance of brick and mortar independent bookstores, that we can provide that connection. 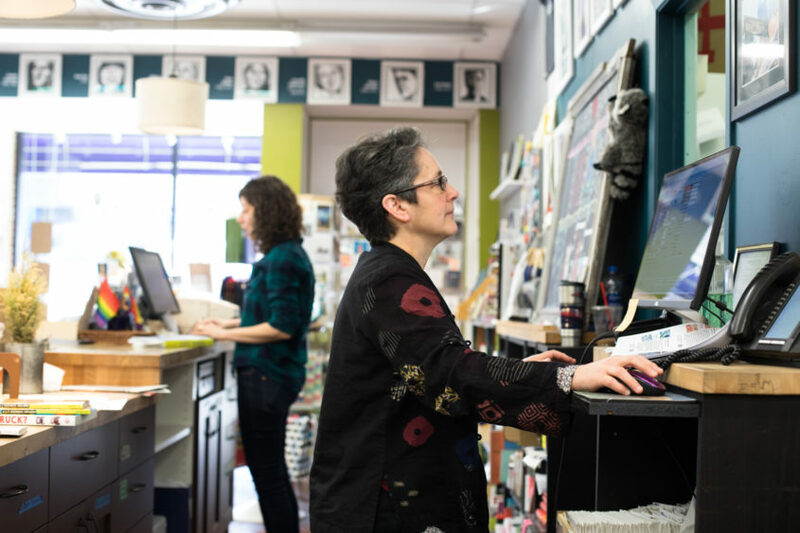 I got to interview Ann Patchett, she owns her own bookstore, so talking about the industry with her felt intimate, a real connection. We were a space of solace in the days after the 2016 Presidential election. Those days were really important to me, to have people walk in and say, “This is the only place that I wanted to be right now.” They didn’t know where to go, and came to find people who were feeling as hopeless, and to connect over their shared sadness. And to move forward, we’ve been lucky to be a space for organizing, for hosting activist events related to using art and books as a form of activism. Speaking of the active community there, I noticed that you have several open book groups too. Can you tell us about those? Sarah: The women’s book group is the longest-running one. It’s facilitated by Linda, who opened the bookstore in 1979. That’s one of our most popular groups, reading books written by women. The next most popular one is the feminist book group. Often, young queer readers will attend that, and we have the social justice book group. They’re all open to anyone; you don’t have to come to every single meeting, just the ones that interest you. The social justice book group and the feminist book group are important to our mission as an intersectional feminist bookstore. Their reading selections focus on the way in which all oppression is connected. So they’re not just focusing on books that address sexism, but books that address racism, homophobia, ableism, all of the different isms, and talk about the way they intersect. We’ve been finding a lot of people who have just moved to Chicago seek out a book group as a way to meet new folks that isn’t intimidating, because you can connect on this deeper level through this book. If you had to put it into words, what’s your bookselling philosophy? 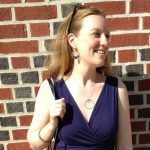 Sarah: Both the store’s philosophy and my own are centered on active listening. I try to ask the customer questions about what they enjoy, and what they’re looking for in a book, before recommending just anything. I think feminism is grounded in listening to one another and not just saying talking points without listening to the other person first. We do try to challenge our customers to read outside the mainstream, to read more women of color, authors who are queer-identified, who are trans, or not from America, or a refugee, or something that they might not find in any bookstore, but are new discoveries. You mentioned after the election that you had a space where people could come and grieve, and that seems to be a trend. Are you seeing any other trends in the book industry or predictions for bookselling in this cultural moment? Sarah: Our bestseller list is always dominated by women, and it’s pretty evenly split between women of color and white women. It’s interesting to note that this year, our first bestseller that wasn’t related to an event we hosted was The Handmaid’s Tale by Margaret Atwood. Obviously, it’s a TV show now, but there are correlations that folks are drawing between the show and our current state of affairs. We talked immediately after the election about how it felt different in that people were looking for books that were educational resources. They weren’t looking to escape through books. In general, we’re seeing a higher interest in books about systemic injustice and systemic racism. 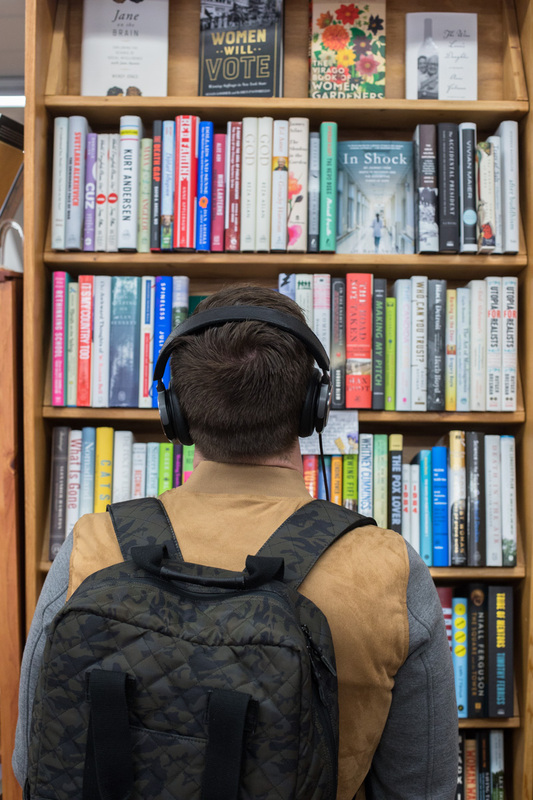 We just launched a program for customers to download audio books through our website, and that’s new for us. People are so connected to their phones as a source of energy, and so they’re listening at work, while they’re on the train, walking the dog. It’s a great way to consume a book. There’s been a huge spike in poetry book sales. We’ve hired two local poets as booksellers in the last couple of years, and they’re incredible at handselling poetry. There are a ton of new poetry collections this year focused on political and social justice issues. We hosted Danez Smith for Don’t Call Us Dead and that event was so packed. We hosted an event for Carmen Machado’s Her Body and Other Parties, which was awesome. The sales for that book far outlasted the event. Short story collections are often very difficult for booksellers to sell. Even when we love them, it’s a hard sell. And it’s not just a short story collection, it’s this fascinatingly dark, queer love story, so it’s a challenging book. It says a lot, that people are willing to rise to the occasion. Sarah: Eli Clare wrote Exile and Pride over a decade ago, and his new book is called Brilliant Imperfection. In terms of understanding the framework of disability, they’ve been important to me as a woman who identifies as having a disability. It’s been incredibly centering to have that language. It’s awesome when a book can help you give language to your own experience. Jesmyn Ward may be becoming my favorite author of all time. I thought she had written perfection when I read Salvage the Bones, and I love her memoir Men We Reaped, but then I read Sing, Unburied, Sing and I don’t know how she outdid herself, but she did. Is there anything else you want people to know about Women & Children First? Sarah: One of the awesome things that’s come about recently is this group of young girls who’ve started something called the Bake Sale for Justice. Once a month, they gather outside and have a bake sale, and raise money for nonprofits. They’ve raised money for the ACLU and Habitat for Humanity. These are young women who know the bookstore and have been attending storytime since they were little, and now are putting activism into action. They’re looking around the world and recognizing that there are things to be done, and taking action. Whenever I see them outside, I think that a direct result of the bookstore is their action. It’s been a beautiful manifestation of the mission of the store.